« Are You Just a Bed and Breakfast? 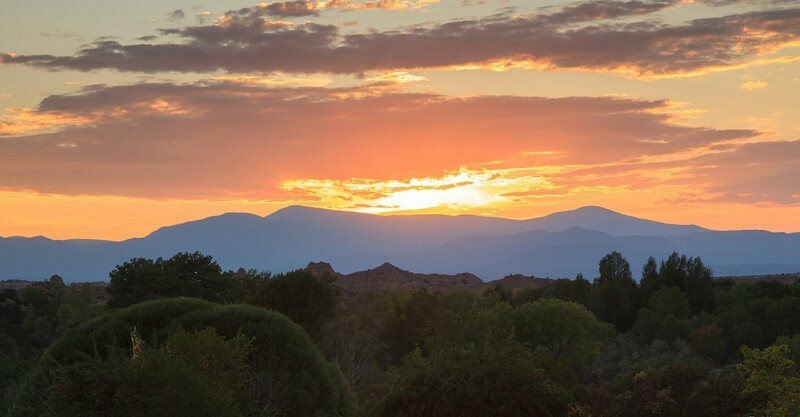 Beyond Santa Fe, New Mexico, just 30-minute drive north, rests the village of Chimayo. 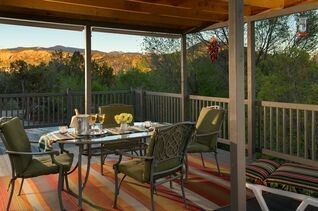 Nested in the Sangre de Cristo Mountain foothills of the Rocky Mountains. The desert is peaceful here, some ancients viewed it as magical and healing. Today the spiritual mood of the place still exists. And the natural beauty! Chimayo is a verdant oasis worth a visit in the Land of Enchantment. The B&B Team affiliate, Marilyn Bushnell, recently visited Chimayo and stayed at the Casa Escondida Bed & Breakfast. She was able to explore the area. Chimayo is a great central location for day trips to Santa Fe, Los Alamos, Abuiqui, Taos, and the high road to Taos. Here are some of the enchantments she experienced. The level desert with the Sangre de Cristo Mountains in the distant horizon make the sweeping sunrises and sunsets special. 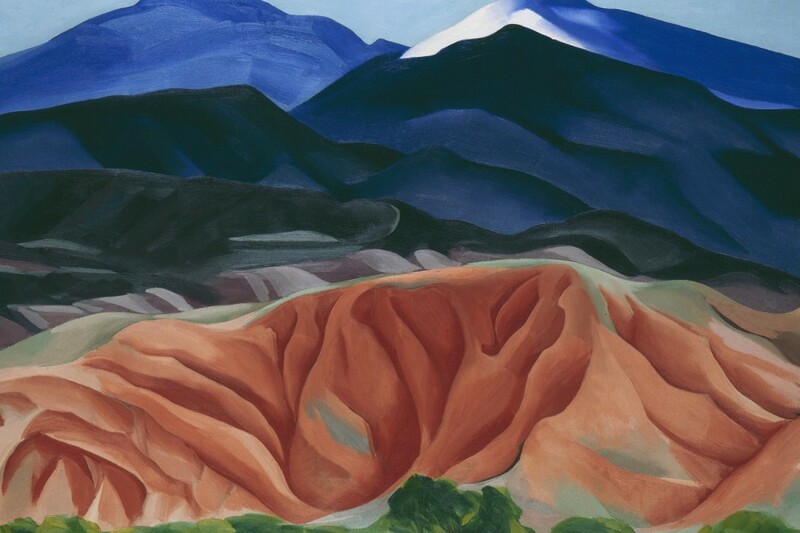 The sky, desert and mountain hues can be seen in paintings (Georgia O’Keefe for sure! ), woven blankets and baskets, painted doors and adobe walls. Everywhere you go there is desert color. “I loved the weavers (the one gentleman I met has had his weaving on display in the Smithsonian).” Marilyn. 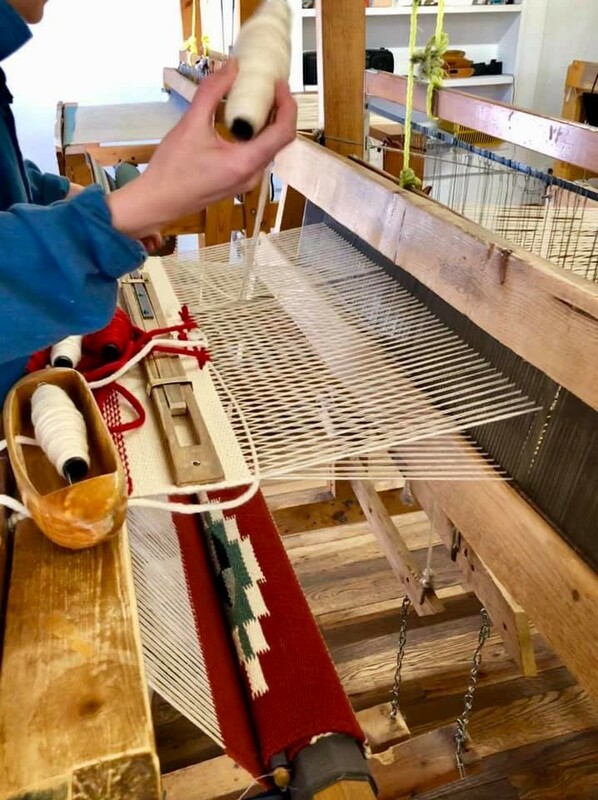 Chimayo Weavers. 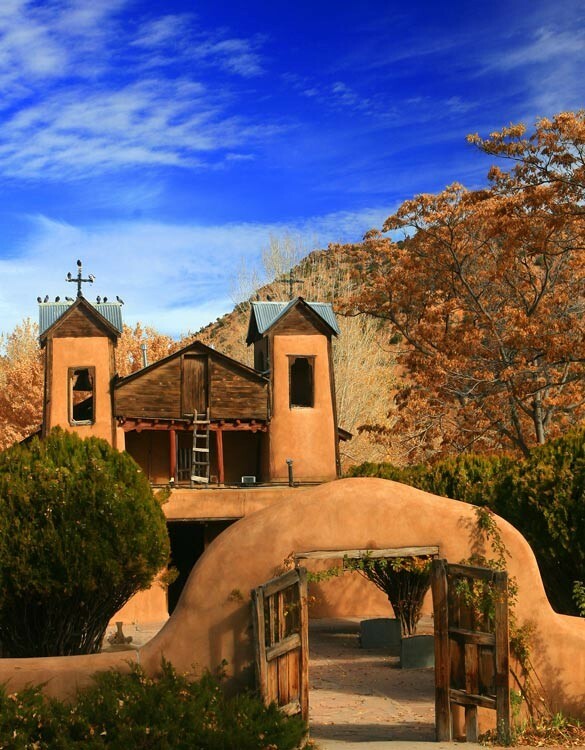 One special and enchanting place is the little church, El Santuario de Chimayo, one of the most beautiful examples of Spanish Colonial architecture in New Mexico. It’s best known for the curative powers of the ‘holy dirt’ found in a small prayer room inside the sanctuary. The church draws more than 300,000 visitors a year. The upcoming Holy Week will bring pilgrims walking from Santa Fe and some as far as Albuquerque. Believers or not, the church and the grounds communicate a heightened sense of spirituality. A place to experience the sounds of silence. Colors are in the food too! Rancho de Chimayo Restaurant is located in Chimayo. 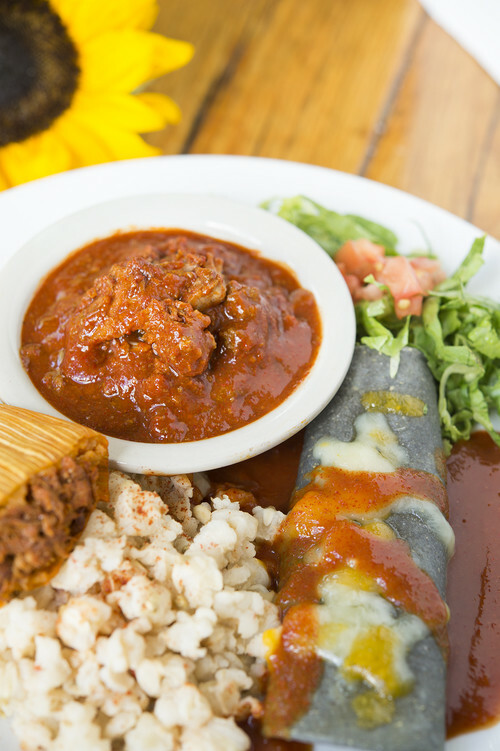 A long time family run New Mexican restaurant. Marilyn said “...don’t forget to mention Chimayo Chili Pepper; Food and Wine wrote an article about it.” From Food and Wine . After Marilyn’s time exploring and tasting, back to the Inn to relax and rejuvenate. 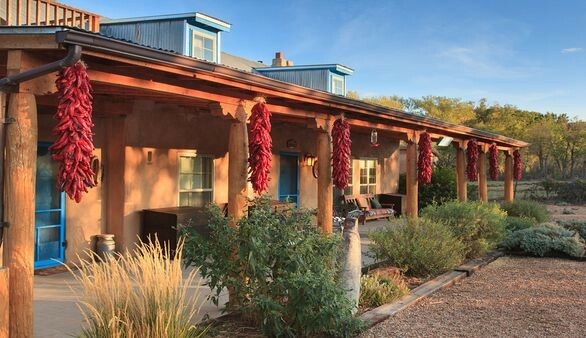 The opportunity to live, work and play in the Land of Enchantment, the opportunity to create your own rich colorful memories as innkeepers/owners of Casa Escondida may be just what you are seeking. Casa Escondida Bed & Breakfast for sale. An historic and artisan-rich village location with a popular tourist-rich location, countless area attractions that draw guests, and with quality style. Listed exclusively with The B&B Team® / Bushnell Services. This entry was posted on Tuesday, April 16th, 2019 at 2:06 pm	and is filed under Better Way to Buy and Inn, Innkeeping Business. You can follow any responses to this entry through the RSS 2.0 feed. You can leave a response, or trackback from your own site.